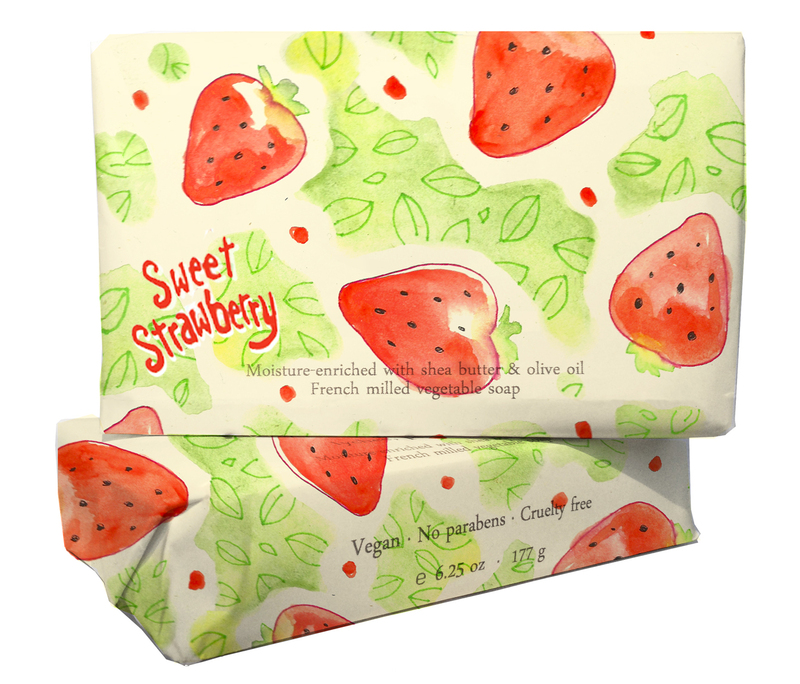 Sweet Strawberry Series: Illustrated pattern project mock-ups, a summer reminder while its cold outside. 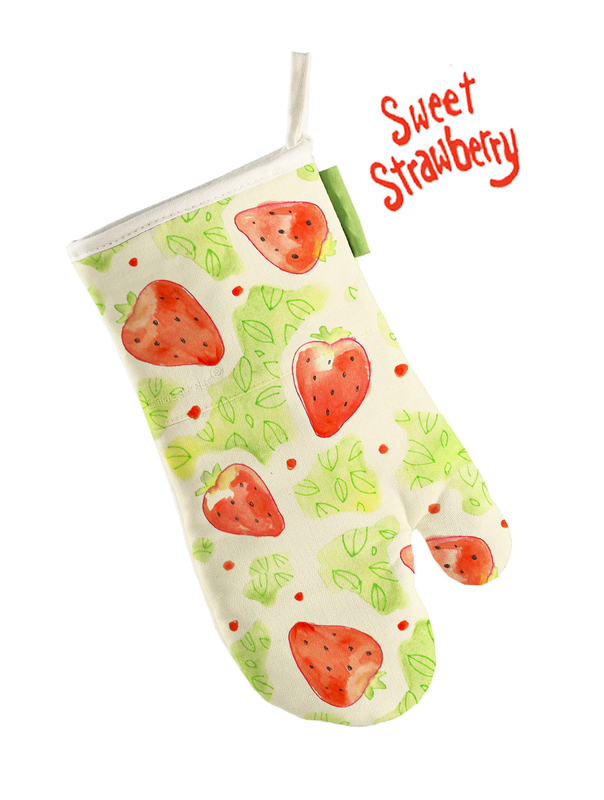 – Patterned Bar Soap, Oven Mitt, Hand Towel, and Apron. This entry was posted in Watercolor and tagged illustration, Ink, kitchen, kitchenware, packaging, painting, watercolor. Bookmark the permalink.